When we think of the reign of Bloody Mary, a.k.a. 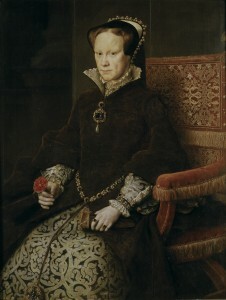 Queen Mary I, we often reflect on the prominent Protestant victims like Thomas Cranmer, archbishop of Canterbury. But there was one victim, local woman Perotine Massey, who’s name is not familiar to everyone but her death was none-the-less just as controversial and just as grizzly as the higher profile victims. Perotine was no one ‘special’. So why was her death, so controversial? The answer is that she was pregnant at the time of her death. 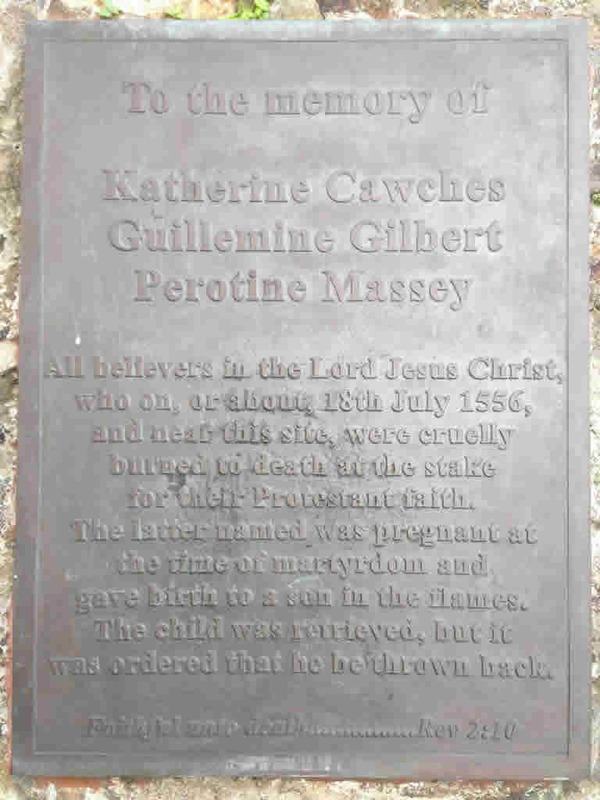 Perotine was the daughter of one Katherine Cauches (or ‘Cowchen’) and she lived with her mother and one sister called Guillemine in St Peter Port. Another woman who had stolen a silver cup tried to sell it to Perotine but knowing that it was actually the property of another, Perotine informed the actual cup’s owner. The thief was arrested and Perotine was also questioned for any impossible involvement in the robbery. Sufficient evidence could not be found for her involvement but she was instead accused of not attending church. Was she perhaps accused by the disgruntled thief? , who knows, regardless, the case was brought to the dean of Guernsey and on 14th July 1556 she was examined before a number of local important figures (amongst them the dean). 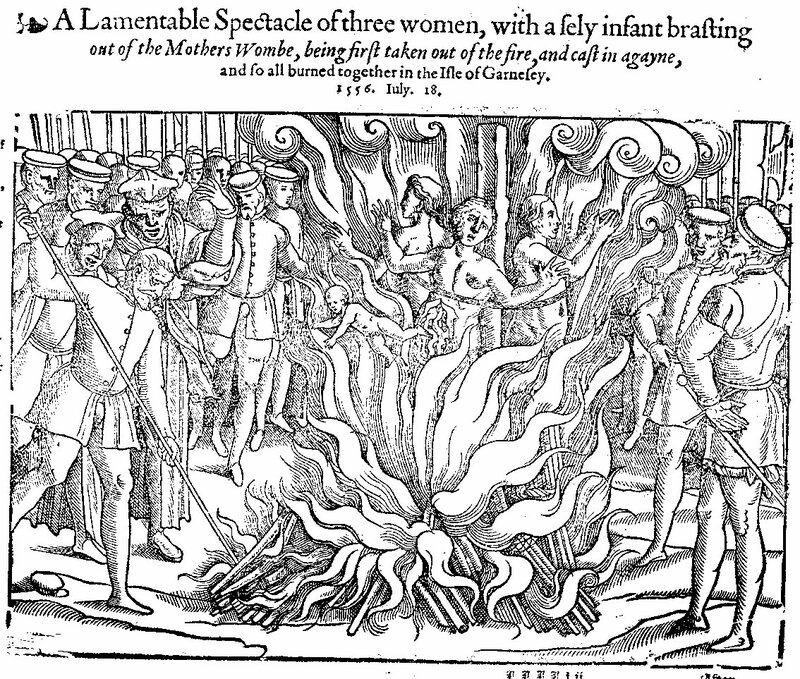 On the 18th of July she was condemned as a heretic, and burnt at the stake. She was strangled beforehand but the rope broke. 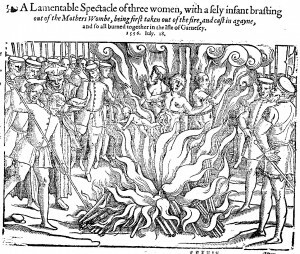 Whilst on the stake she gave birth to a boy and one eyewitness initially saved the baby but the bailiff, Helier Gosselin, insisted that it too should die. As a consequence the infant was thrown back into the flames. A Horrifying Story : But why was this allowed to happen? Even in an age of cruelty and common barbarity this is a horrifying story. But why did they still execute a pregnant woman and why, when she gave birth at the stake, did they not save the baby? The issue of the pregnancy does raise questions. During this period there was a plea known as ‘benefit of belly’. This was where a pregnant woman who had been condemned to death could raise her condition and as such the execution would be stalled until after the child’s birth. The unborn child was not regarded as culpable of its mother’s sins and as such was not to share her fate. The mother could still remain in prison, although she was not guaranteed a full pardon, but nonetheless the child was still allowed to live. So why was Perotine sent to the scaffold? Perhaps her pregnancy was not known to herself or to the officials. Pregnancy in the early stages was hard to determine with much certainty during the 16th-century. According to Jasper Ridley in Bloody Mary’s Martyrs (2001), Perotine did not tell the judges at her trial that she was pregnant although it is hard to deduce whether this was consciously done or whether she really didn’t know about her condition. But why did the bailiff, once the child was born, decide to condemn the child with the mother? The bailiff was asked the same question years later during the reign of Elizabeth I. He was tried for his actions and his response was that the child had been in the woman’s (and therefore the ‘heretic’s’) womb and therefore shared her sin. This was not regarded to be a just reason and subsequently he was condemned for murder. Although Elizabeth later pardoned him. Today a plaque in her honour (along with her mother and sister who were burnt alongside her) can be seen on Tower Hill steps in St Peter’s Port. She may not have been the most famous Protestant martyr, and her name is frequently left out of books on Mary and the church during this period but she is still remembered her in her native island of Guernsey.